The perfect cocktail lounge is the new speakeasy-inspired Punch Room. Behind what feels like a secret door lies a intimate area known for punch recipes that were not in the last punch bowl you saw, for sure. Imagine a scientist creating something that will amaze and awe your palate. 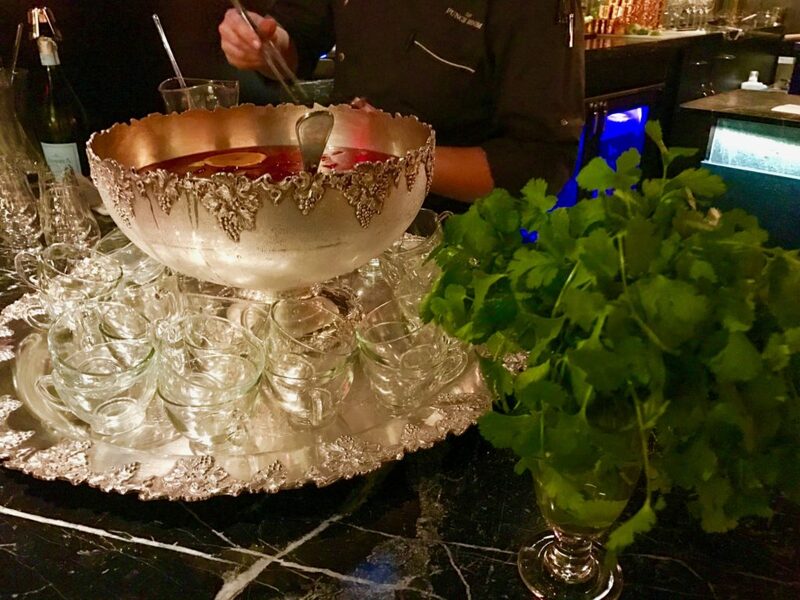 The renowned mixologist Bob Peters is behind the handcrafted creations here. The atmosphere itself is glamorous (with wingback chairs and rich leather) and intimate, with a mere 37 seats. It feels like you’ve stepped back in time to an upscale, 19th-century lounge. Time-travel with your loved one, share a unique drink and toast to your perfect couple’s weekend. This entry was posted in Press and tagged article, Ava Roxanne Stritt, bartender, Best cocktail bar, Bob Peters, bob the bartender, bobthebartender, Charlotte, cocktail, Cocktails, james beard, mixologist, mixology, outstanding bar program, punch room, the ritz, the ritz charlotte, The Ritz-Carlton, Travelocity.